Ingenuity19 is looking for the next generation of entrepreneurs and innovators to create scalable social and commercial enterprises that can transform Nottingham, the UK and beyond. For the first time, we are open to the public and looking for future leaders from across the city. This includes everyone from the student community, to Nottingham’s biggest businesses, as well as those from the public and third sectors. We are looking for everyone to come together and discover problems worth solving, and are offering you the tools to create scalable sustainable solutions. Today, we’re taking 4 songs which could potentially broaden your horizons and change your life as an entrepreneur. Alternatively, you might read this and feel absolutely nothing, but you’ve come this far so you might as well finish what you’ve started. Entrepreneurs are going through a long old journey, and the road is unlikely to be a pleasant and smooth one. Kelly Jones refers to life being in the rear view mirror and that the open road up ahead is the future. You may have had that bright business idea that didn’t quite work out the way you’d planned, perhaps “time came round and wrecked our place” but the setbacks from the last idea made you more resilient in the next, maybe when you look back now, you got a smile on your face. You’ve had another one of those dreams about your big business idea taking off, all you need is for someone to show you the foothold from which you can climb. The key message in this song is really about pushing through all the adversity to see your idea through, particularly in the toughest of times; through lanes and stone rows, black granite, wind blows, fire lake and far flame, go now but come again dark clouds gather ’round. At the end of it all though, you know it’ll all be worth it as you look back at the small shadow which gets smaller day after day. Someone’s just told you they want to invest in your business. You’ve just received a 5 star review on Facebook. Someone’s giving you a big old thumbs up for the great work you’re doing. They may not rear their beautiful little heads too often, but when they do, these days have the power to make you feel like you’re walking on the moon. We’re talking cloud 9, top of the world, lifting the World Cup trophy. Make the most of them and throw those curtains wide, one day like this a year’d see me right. The Future Technology Summit will be looking at…. Powering the future – How does technology enable interaction? How do we prepare for the emerging role of artificial intelligence, machine learning and the Internet of Things? And how will future societies function with these technologies? 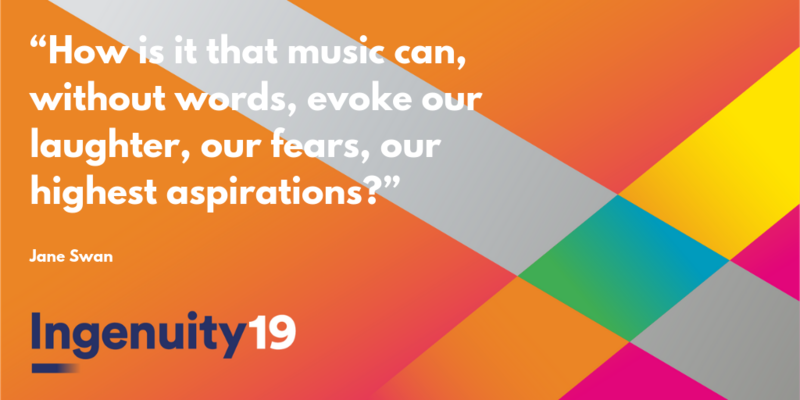 Applications for Ingenuity19 are now officially open and we want you to bring your new or existing business ideas to the table. What are you waiting for? Get your applications in here now: http://bit.ly/Ingenuity19.